1. Season the chicken with the salt & pepper, making sure to mix it in evenly. 2. Heat oil in a skillet over medium-low heat. 3. 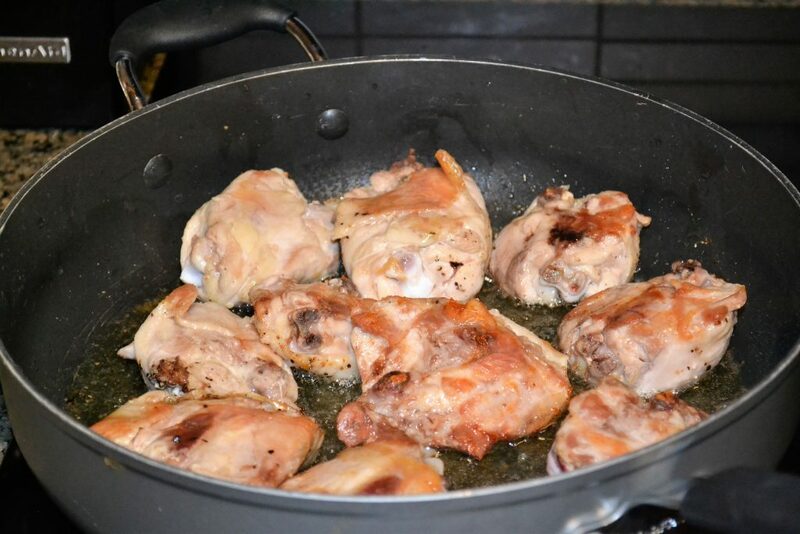 Place the chicken thighs skin side down in the skillet and cook for about 13 minutes in order to crisp up the skin. Move the chicken around from time to time to ensure it cooks evenly. The skin should be hard to the touch. 4. 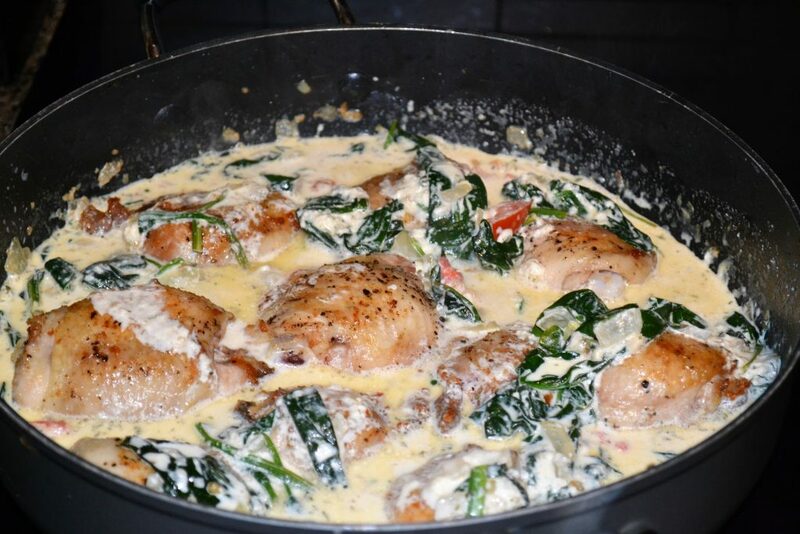 Flip the chicken, then cook for about another 15 minutes until the chicken is fully cooked. Remove from pan. 5. Add the garlic and onion, stirring until onions are translucent. 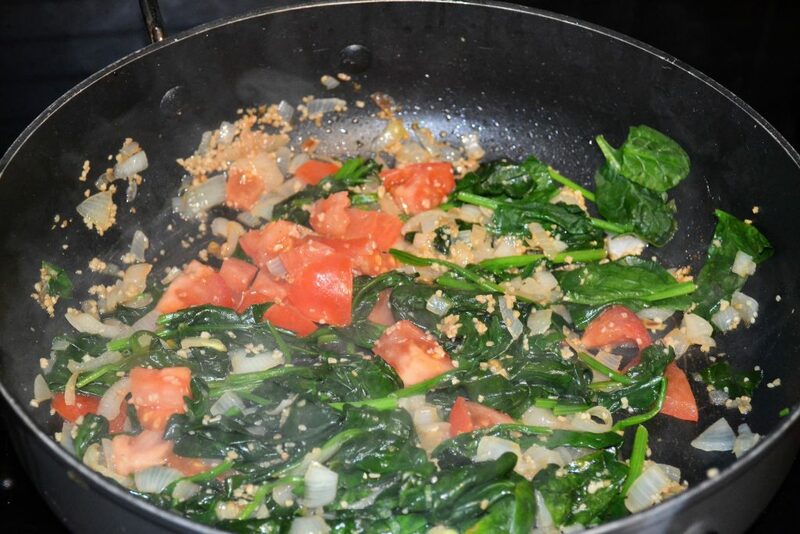 Stir in the tomatoes and spinach until the spinach is wilted. 6. Add the cream, salt, and pepper, bringing to a boil. 7. 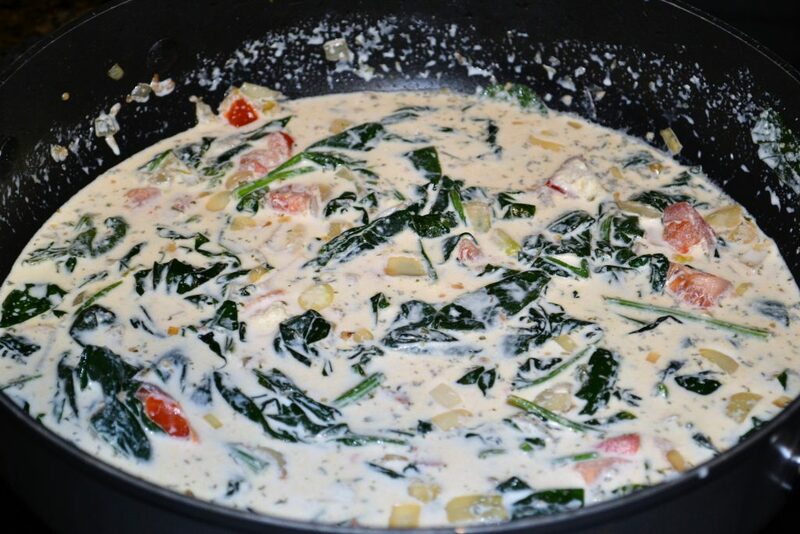 Add the parmesan cheese and parsley, stirring until the sauce has thickened slightly. 8. Place the chicken back in the pan, spooning the sauce on top of the chicken. I served this creamy tuscan chicken recipe next to another recipe I adapted from Tasty, Bacon Asparagus Pastry Twists, The whole meal was a hit, and needless to say Warren didn’t end up forgetting me while he was in Mexico… I’m sure this meal was the reason why – pfft. 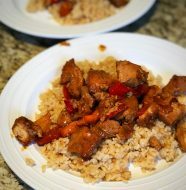 Please don’t forget to like me on facebook and share this recipe with your friends! Thanks for reading!! 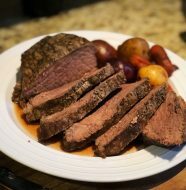 Slow Cooker Roast Beef – Easy! Just a girl with a passion for food, sharing her kitchen adventures with the world! The EASIEST Easy Yellow Cupcake Recipe EVER! 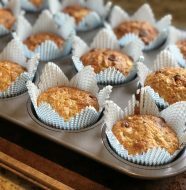 The Cheap Chef - White Chocolate Macadamia Nut Cookies on The EASIEST Easy Yellow Cupcake Recipe EVER!